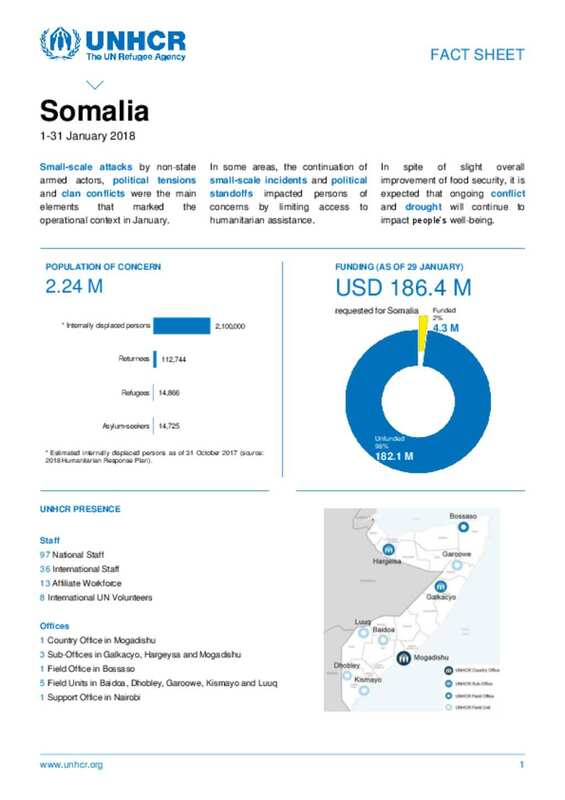 Small-scale attacks by non-state armed actors, political tensions and clan conflicts were the main elements that marked the operational context in January. In some areas, the continuation of small-scale incidents and political standoffs impacted persons of concerns by limiting access to humanitarian assistance. In spite of slight overall improvement of food security, it is expected that ongoing conflict and drought will continue to impact people’s well-being.